Critically-acclaimed feature “Anne Frank’s Diary” will release its new remastered 2015 HD version on VOD and online platforms this Fall. “Anne Frank’s Diary” is the first animated feature film adaption of the widely popular book, produced by Globe Trotter Network (France) and A-N Committee (Japan), in collaboration with the Anne Frank Fonds. 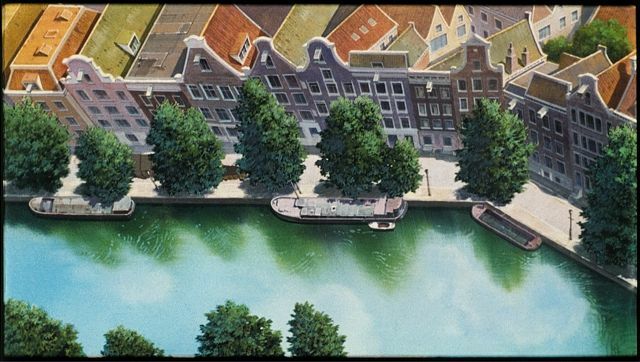 Produced in full cell animation, “Anne Frank’s Diary” is set in Amsterdam and depicts a side of Anne never seen before. From the day she receives her famous journal to D-Day, the film visually translates the original text of the Frank family’s two years of deprivation, bombardment, and promiscuity. "Animated "ANNE FRANK" retells story superbly. The movie is an achievement on several levels. It's aesthetic scheme is simple and unadorned enough to remind us that is a story of ordinary people thrust in into extraordinary circumstances, yet it's also gorgeous enough to carry us through its feature length. Its slab of colors and simple but inviting composition suggest paintings of Edward Hopper." The animation is superb, the settings exquisite. It is true to life. The director documented his research, worked on the basis of photographs. It is a true setting of the time. It made me want to go to Amsterdam. The tone of the Diary isn’t hopeless. Anne Frank is neither a view of the camps or of destruction. We know the family will die so there is great underlying emotion as we watch but the dialogue is full of humanity. Awarded the Children’s Jury Award at the Chicago International Children’s Festival. 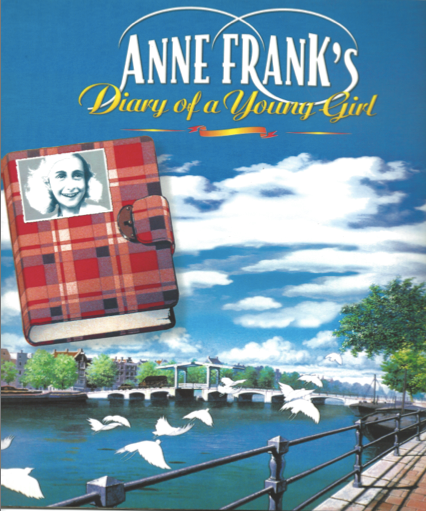 ADLEEK SA (Luxembourg) holds international rights, all media of ANNE FRANK’S DIARY, animated feature film. We are present at Cannes Film Market from May 14th to May 19th. “The Diary of Anne Frank” sold over 35 million copies; about 4 million are sold worldwide each year. Why does the diary of a teenage girl still appeal to young and older generations? Because her message of peace and respect among different people and communities is still relevant. Anne Frank symbolizes the danger of disrespectful words and thoughts toward the Jewish community, of antisemitism that eventually led to the concentration camps. Fascism and fanaticism are still present. And they threaten to destroy the foundations of Europe & Free World and peace amongst different communities. Anne Frank reminds us of this. 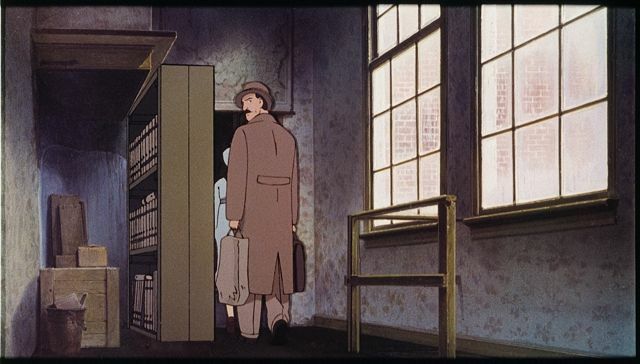 The fact that the film is animated allows for a broader audience than the journal’s usual readership to learn about Anne Frank’s story during WWII. Having had access to numerous sources of information and archives, as well as integral versions of the journal thanks to the Anne Frank Fonds and its president Buddy Elias, ANNE FRANK’S DIARY is one of the most faithful accounts of her years in the Amsterdam attic. The viewership will learn details they previously ignored. The movie starts before Anne receives her diary, and ends when the Frank family and fellow refugees are arrested in the secret annex in 1944. The original score composed by Carine Gutlerner adds to the intensity of the film. Laurent Korcia, the violinist, brings his immense talent to this one-of-a-kind original score. The official website www.annefrankanimated.com has a very complete FAQ section written by historian Carol Ann Lee. It also has the making of of the score, as well as an exclusive interview with Anne Frank’s cousin, interview that puts the book into perspective. He also reads an unpublished letter written by Anne Frank.